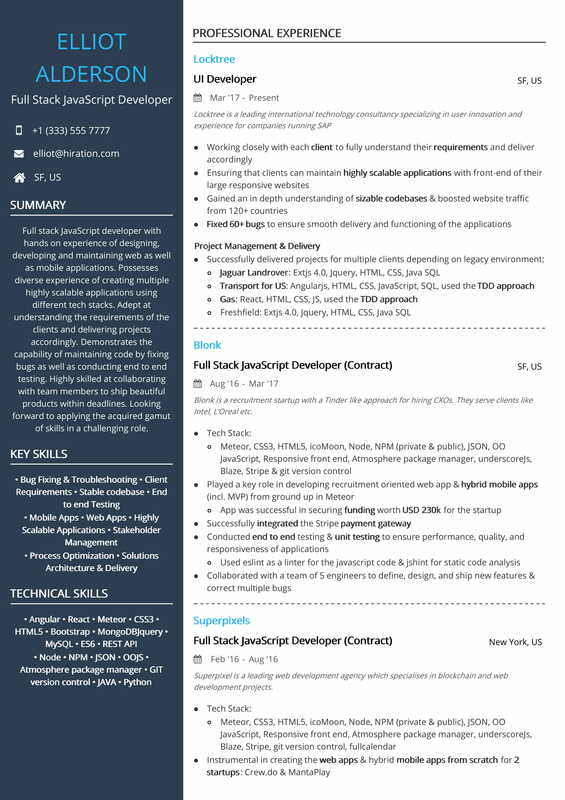 For the Senior Software Engineer resume example, here is the profile of Elliot Alderson, who is an 8+ yr. experienced software professional. 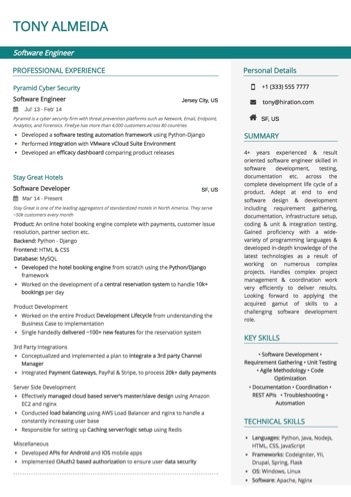 This Senior Software Engineer resume sample demonstrates multiple skill sets including product development, server management, deployment etc. 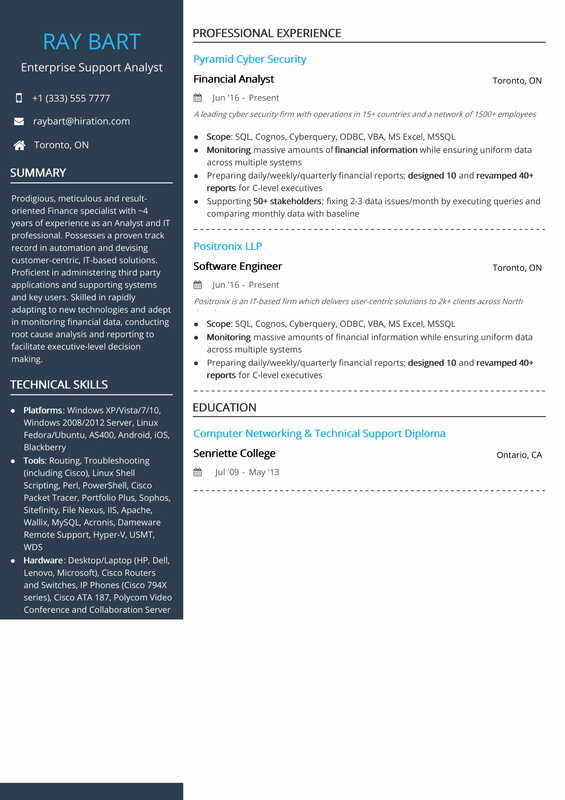 For the Software Engineer resume example, here is the profile of Tony Almeida, who is a 4+ yr. experienced software professional. 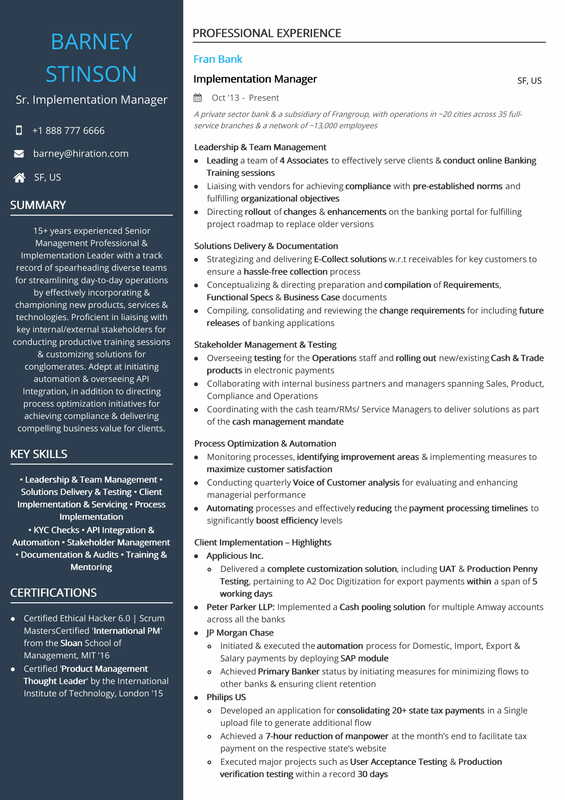 This Software Engineer resume sample demonstrates multiple skill sets including software development, unit testing, code optimization etc. For the Senior Product Manager resume example, here is the profile of Bruce Banner, who is a 7+ yr. experienced DOMAIN professional. 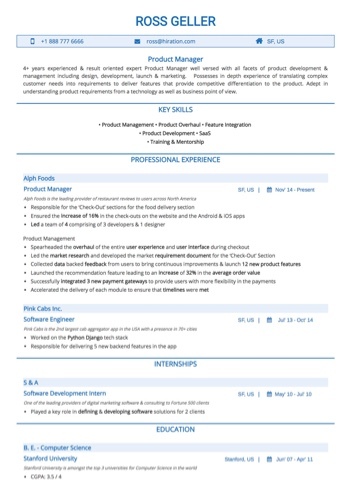 This Senior Product Manager resume sample demonstrates multiple skill sets including project management, product launch, customer engagement etc. For the Product Manager resume example, here is the profile of Ross Geller, who is a 4+ yr. experienced product management professional. 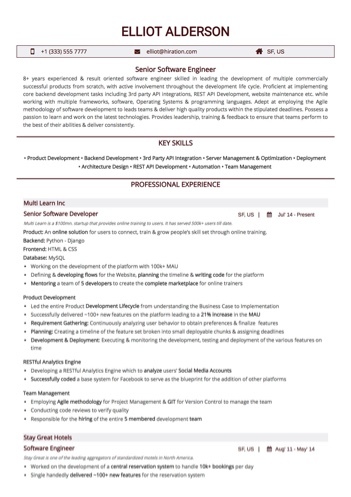 This Product Manager resume sample demonstrates multiple skill sets including product management, product overhaul, SaaS etc. 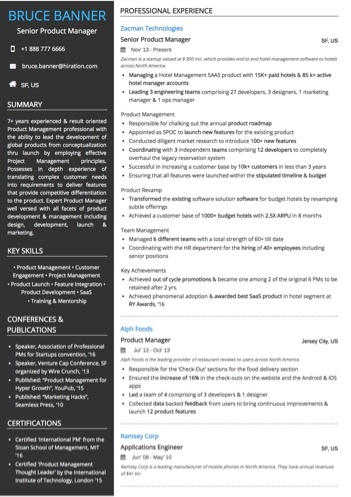 For the DevOps Engineer resume example, here is the profile of Tony Almeida, who has an experience of 7+ years. 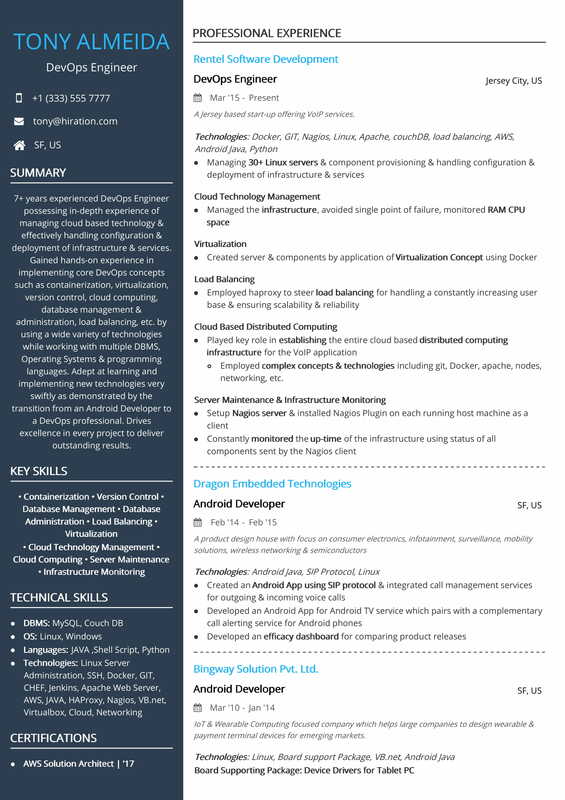 This DevOps Engineer resume sample showcases multiple tech expertise across domains spanning cloud technology management, virtualization, load balancing, distributed computing, etc. For the Test Engineer resume example, here is the profile of Ed Stark. 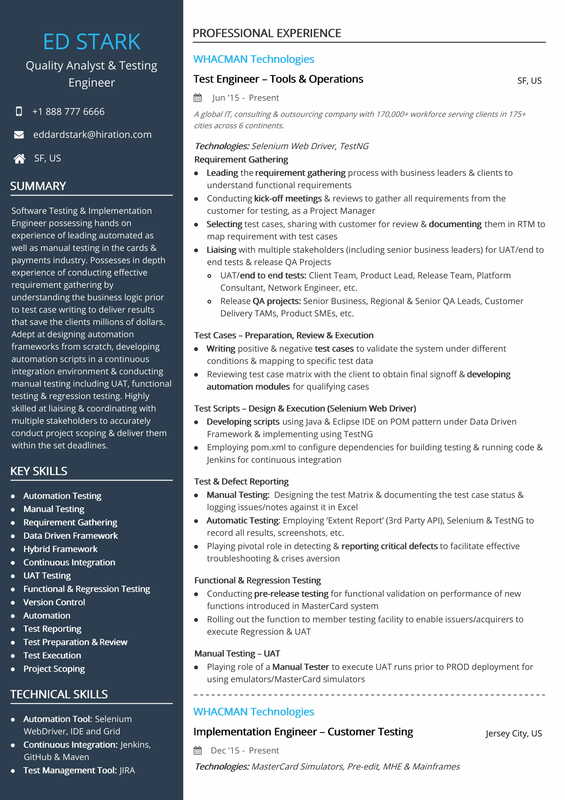 This QA & Testing Engineer resume sample demonstrates multiple skill sets including requirement gathering, test cases, defect reporting, functional/regression testing, etc. For the IT Head resume example, here is the profile of Samwell Tarly, who is 26+ years experienced IT Head & Solutions Architect. 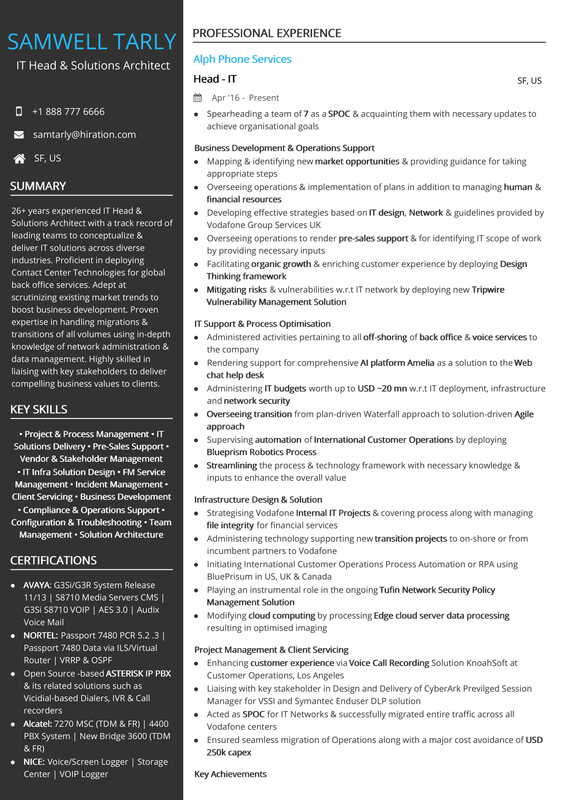 This IT Head resume sample demonstrates multiple skill sets including business development, operations/IT support, infrastructure design, solution architecture, etc. For the Network Consultant resume example, here is the profile of Stannis Baratheon, who has an experience of 10+ years. 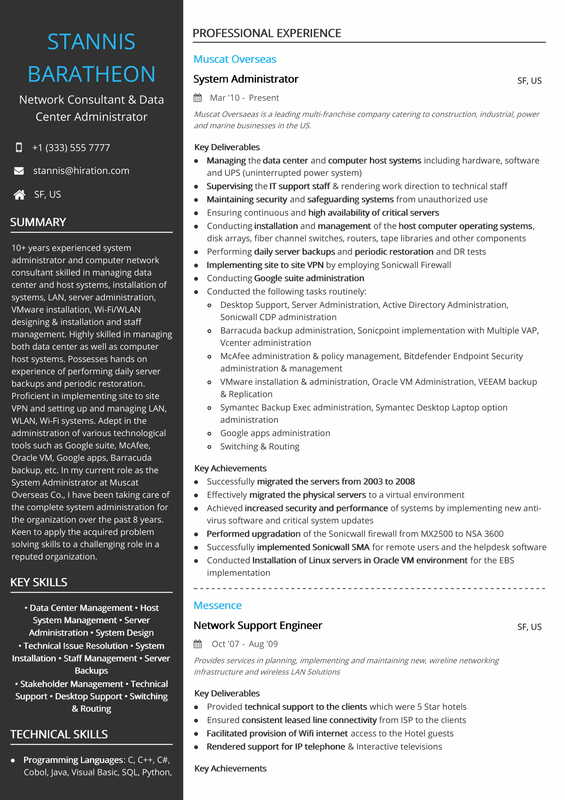 This Network Consultant resume sample showcases multiple tech expertise across domains spanning data center administration, network security, server management, etc. For the Accessibility Specialist resume example, here is the profile of Theon Greyjoy, who is an 18+ years experienced Accessibility Specialist & Senior Consultant. 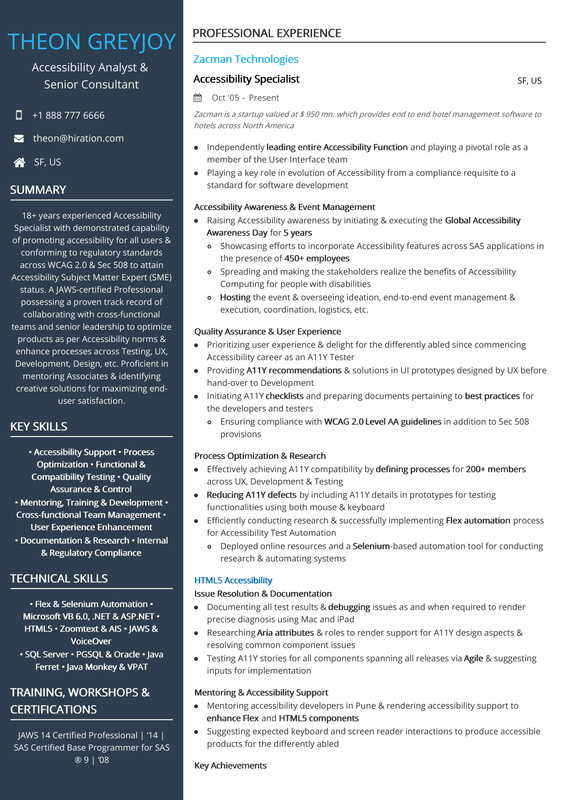 This Accessibility Specialist resume sample demonstrates multiple skill sets including QA, UX, HTML5 Accessibility, testing, etc. For the Senior IT Administrator resume example, here is the profile of Daario Naharis, who is 12+ years experienced System Administrator. 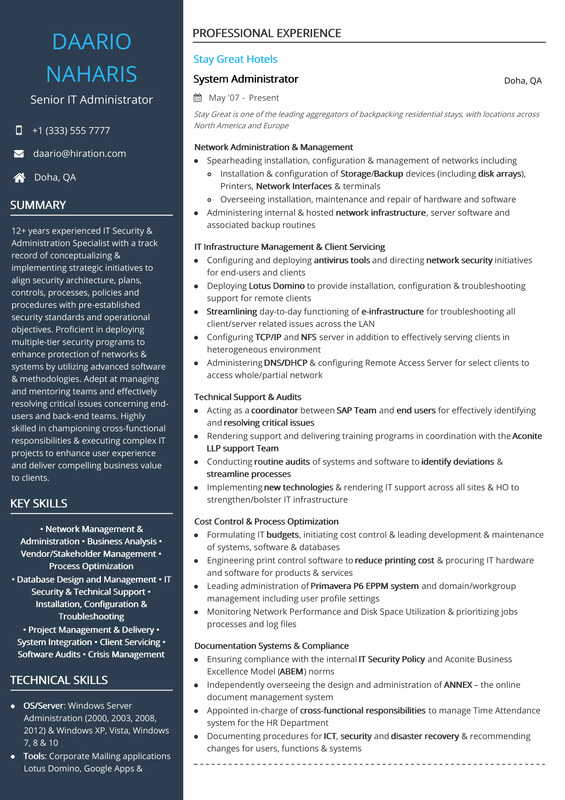 This Senior IT Admin resume sample demonstrates multiple skill sets including network administration, IT infrastructure management, audits, compliance, etc. 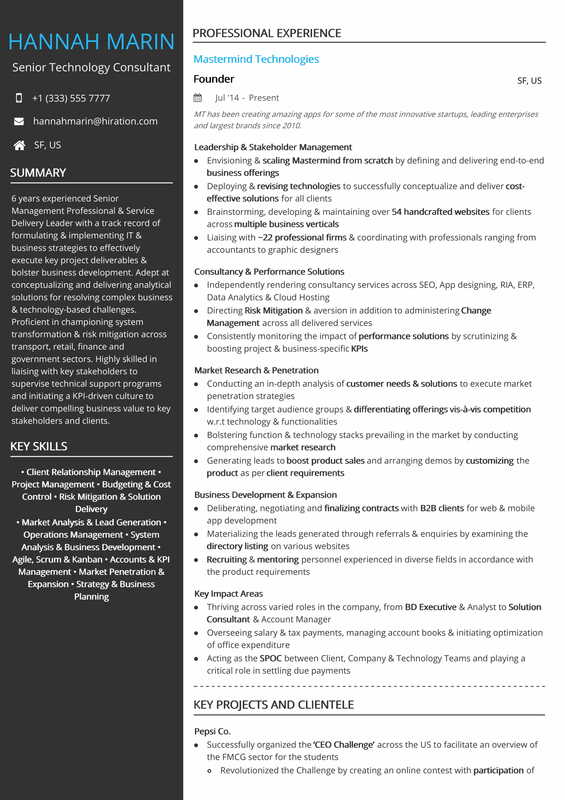 For the Enterprise Support Analyst resume example, here is the profile of Ray Bart with 4+ years of professional experience. This Enterprise Support Analyst resume sample demonstrates multiple skill sets including IT solutions, system administration, monitoring, etc. 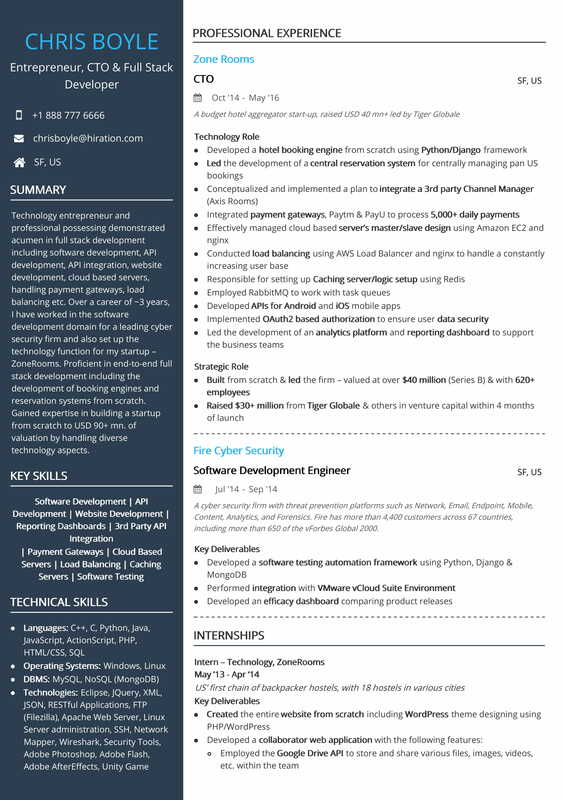 For the CTO resume example, here is the profile of Chris Boyle, who is a technology entrepreneur. 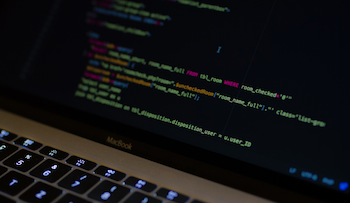 This CTO/entrepreneur resume sample demonstrates multiple skill sets including full stack development, strategy, API integration, booking/reservation systems, etc. For the Senior Implementation Manager resume example, here is the profile of Barney Stinson with 15+ years of experience. 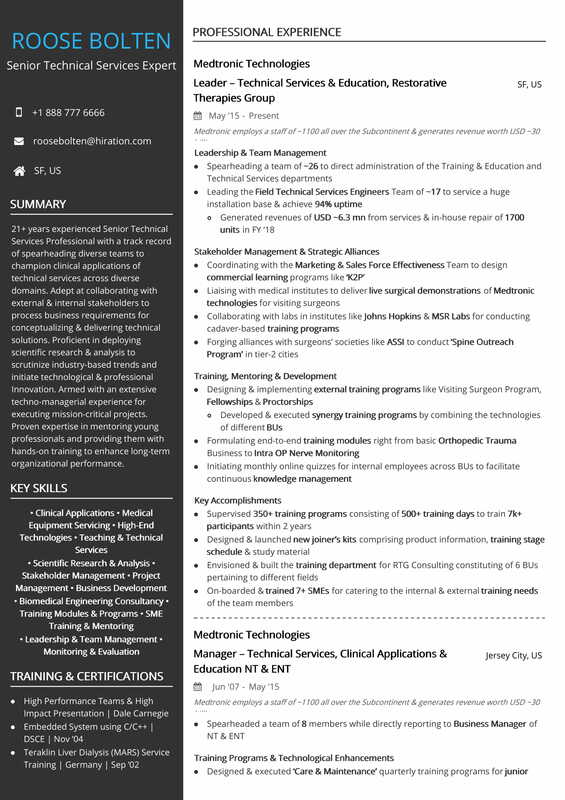 This Implementation Manager resume sample demonstrates multiple skill sets including solutions delivery, testing, stakeholder management, automation, implementation, etc. For the Database Administrator resume example, here is the profile of Marshall Erickson, who is 16+ years experienced Associate Consultant. 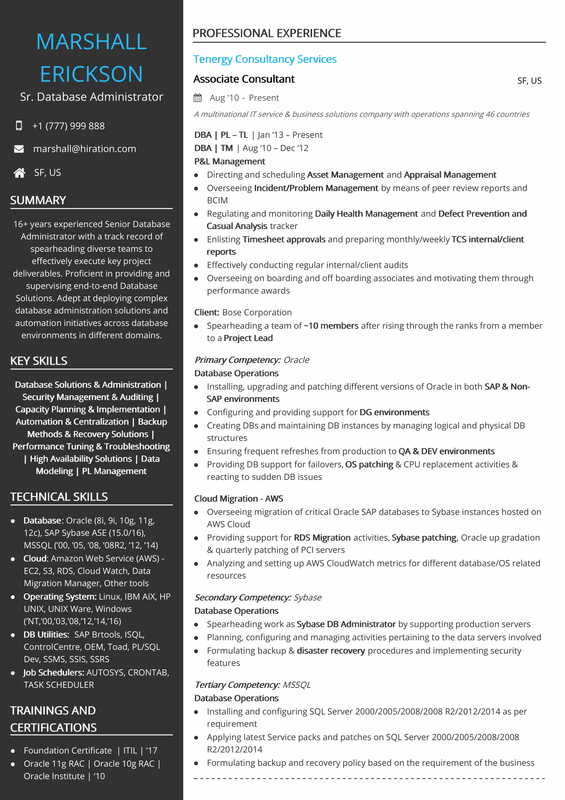 This Senior Database Administrator resume sample demonstrates multiple competencies across cloud migration (AWS), sybase, Oracle, etc. For the Senior Architect resume example, here is the profile of Jonathan Nolan, who is 10+ years experienced Data Implementation Engineer. 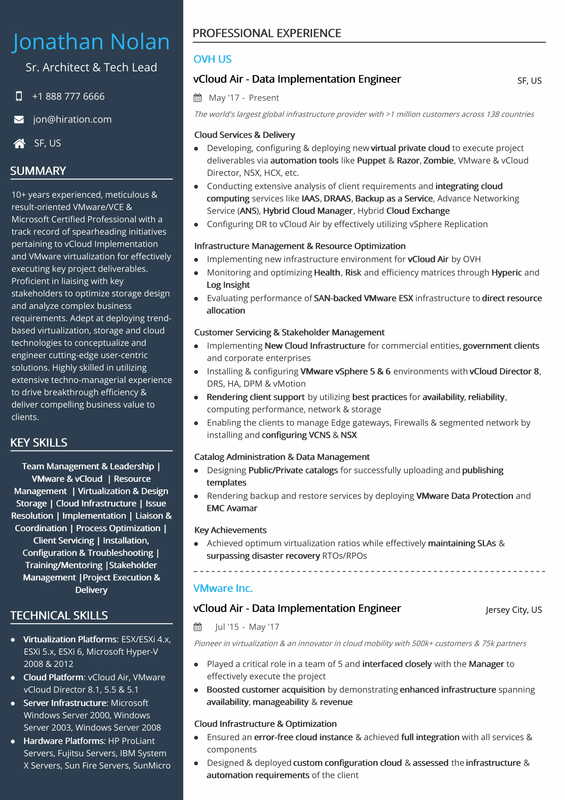 This Senior Architect & Tech Lead resume sample demonstrates multiple skill sets including cloud infrastructure, data management, customer support, etc.